Bursting onto the scene is Tournament Poker Edge, a poker training site dedicated to multi-table tournaments. As it stands now, the site features a half-dozen tournament coaches who create videos and help poker players improve their games. Videos range from theory to live action. Players looking for a dedicated place to find training to improve their multi-table tournament play are often forced to wade through videos typically aimed at six-max cash game players. With the opening of Tournament Poker Edge, tournament poker players have an option that features some of the cutting-edge names in the world of online poker to learn from. The first draw is the low price that micro-stakes players are sure to appreciate, with plans starting at $39.95 per month with no signup fees. The best value comes from buying a yearly subscription, which runs $299.95 and represents one of the most inexpensive options in the world of online poker training. The site has been around since 2010 and the content is aimed at one type of player – online tournament gurus – and they make no bones about it. This means the content is rich in exactly what the person coming to this site is hoping to see. 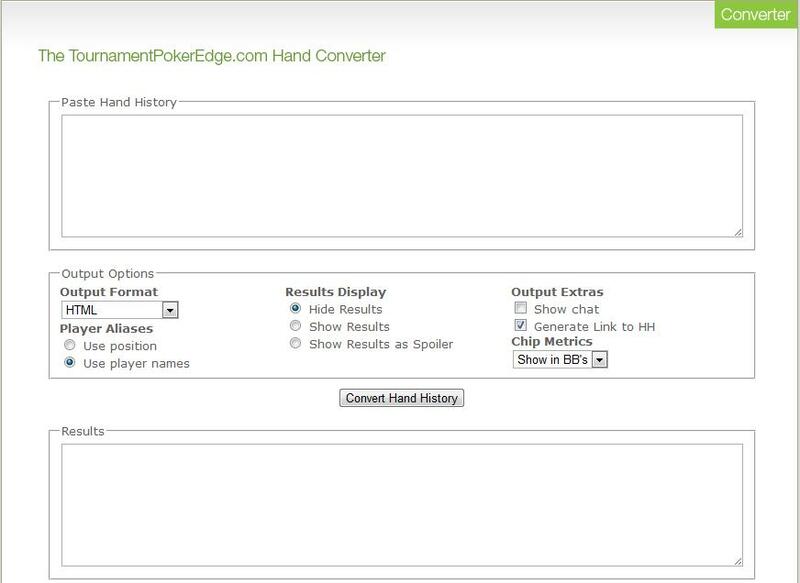 You can find both MTT and SNG videos at Tournament Poker Edge. Many training sites are diluted with a handful of videos for every possible scenario of game you might play. At Tournament Poker Edge, it’s all about MTT and SNG poker and the site has several great series for all brain types, including replay videos, live videos, and even “Theory” classroom videos, which might be the most unique of all. Tournament poker Edge also features forums, podcasts, blogs, and even a chat feature that allows you to chat with fellow poker players. The instructors may not be the household names you constantly see on shows like “High Stakes Poker,” but that’s a good thing, as they are players crushing the games they are instructing and the ones that you are playing as well. This gives the coaches a greater understanding of their specific demographic than we’ve seen at other sites. There are also articles that are regularly posted on the site that talk strategy or recap a big finish that make for great reads. In addition to that, the site hosts forums where coaches and players come together to talk strategy, hands, and find friends to sweat them at a final table. Overall, TournamentPokerEdge.com has done a great job of finding a niche in the poker training community. With over 600 videos, its video library has excellent content from some of the top names in the industry for beginners and expert players alike. Given the very affordable monthly price, it seems like a great way for micro-stakes tournament players to elevate their games by taking up an investment in this training site. Really good vids and lively loyal community. The one significant problem is in the lack of professionalism from their lead instructor relating to the general public as well as their paid subscribers. Also, a large chunk of the good instructors have moved on as well uploading current content elsewhere.